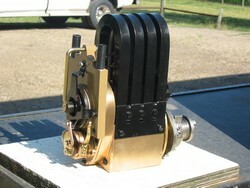 At Kevin's Magneto Service, located in Central Illinois, we offer quality customer service to repair antique stationary engine magnetos. 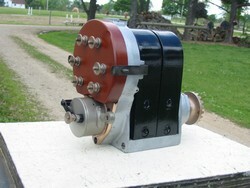 We can also rebuild antique stationary engine magnetos. 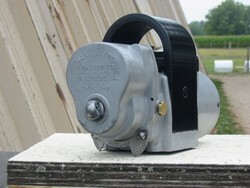 The repair or rebuild of antique tractor magnetos is another service we provide. If the igniter is not functioning, we can repair or rebuild it for you. In 2008 we outfitted a trailer that enables us to travel to various shows and provide some on-site repair services. Call (309)303-2634 for additional information about the services we provide onsite. At Kevin's Magneto Service, we do have some new parts for tractor magneto repair on hand. If we do not have the new part on site, we can get any necessary parts using next-day delivery. We do have several tractor magneto cores readily available. If your part is no longer made, we may have new, used, or older magneto stock available at a discounted price. At Kevin's Magneto Service, we can test antique stationary engine magnetos and antique tractor magnetos on our magneto test stand. We are available for a number of magneto repair services: to set the magneto lag, to test magneto coils, to test magneto condensers. We have a magnet charger, and we service a wide variety of magnetos. High-tension magnetos, low-tension magnetos, inductor magnetos, shuttle-wound magnetos, and oscillating magnetos-all types are tested when they come into the shop to eliminate guessing at the problem. All work is also tested before it leaves the shop because we stand behind our work. We do not repair or rebuild aircraft magnetos. © Copyright 2007-2019 Kevin's Magneto Service. All Rights Reserved.